Born in Innsbruck (Austria) in Gerri picked up the drums when he was 9 years old. After some brass-band and grunge-rock teenage years he studied jazz at the Conservatories of Innsbruck (AT) and later in Amsterdam (NL), where he graduated in 2006. Gerri is probably the only drummer in the Netherlands that uses his drum-set to trigger analogue synthesizers and manipulates it by wiring it onto a bunch of effect pedals originally made for guitar players. His passion is adventurous music of any kind and the mixing of it into a personal blend. Next to his self-made set-up his general tools are improvisation and a flexible approach to composed material. 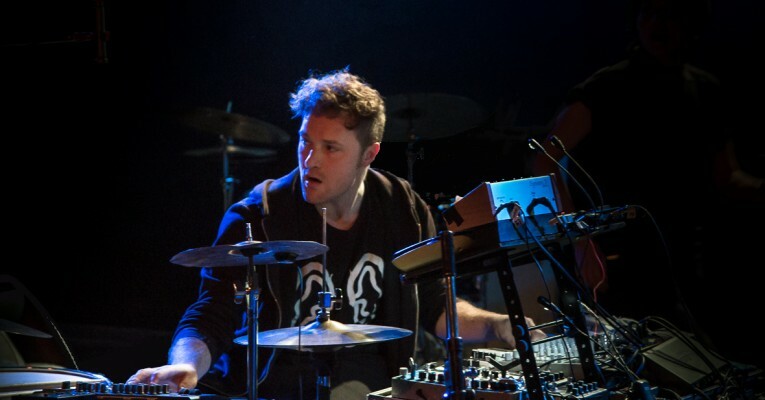 He also plays drums in the groups Naked Wolf, Rooie Waas and the electronic dub-rock duo Knalpot which played on FAQ back in 2010. Some of you might remember their impressive late night concert. Knalpot’s sound man Sandor Caron sound-designs Gerri’s new solo-set.